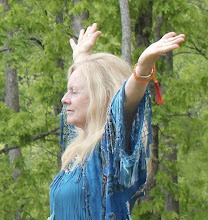 Join me for Shamanic Psychospiritual Counseling Skills at Isis Cove in western North Carolina, November 5 - 9, 2010. The emphasis of this workshop will be on treating all manner of shamanic challenges - including all addictions and co-dependency. Open your heart to the wise natural healer within. You need not have a degree of any kind, only an open heart and a willingness to assist others through the shamanic times we are in the middle of on planet earth. Click HERE for details. 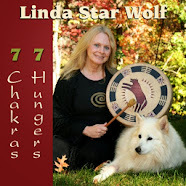 Linda Star Wolf coined the phrase “shamanic-psycho-spiritual transformation process” to describe her programs. 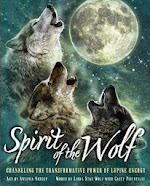 Founder and Co-Director of Venus Rising Institute for Shamanic Healing Arts and the Shamanic Breathwork™ Process, Star Wolf has been a shamanic-psycho-spiritual guide for more than 35 years, facilitating transformational journeys across the US and abroad. 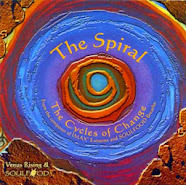 She holds a Doctorate of Ministry in Shamanic Psychology, is a nationally certified alcohol and drug counselor, a Shamanic Reiki Master, a Shamanic Minister, founder of the Shamanic Ministers Global Network and the Founder and President of Venus Rising University, which offers degrees in Shamanic studies and prepares students for careers in the shamanic-psycho-spiritual professions.